We offer a full scope of services, from systems analysis and conceptual design to final implementation. Whether assuming a project as a whole, or one or more of its phases, our solutions are tailored to meet your individual needs. We will work with you, in order to ensure that either the new solutions or the enhancement of your existing infrastructure, will decisively contribute to increasing profits, improving operations and development of customer base. Our development approach remains the same regardless of the project size, in order to ensure quality deliverables according to the projects specifications. By capitalizing our experience on diverse business sectors, we have developed product software solutions that enable businesses to extend service offerings and centralize processes, increasing thus productivity and profits. Our products can be installed, configured to your needs and even customized in order to adapt to your specific requirements and/or integrate to existing infrastructure. Our team of professionals is ready to put their expertise to work for you and will work closely with your organization’s marketing or management team to develop new business processes or optimize existing ones in order to generate more business or improve the quality of the services. Creating the best user experience is one of the most important aspects of software products that are based on User Interaction, especially for public web applications that are intended to be accessed by a large number of users. A good user experience on a website can make the difference between only a few visits and millions of visits on your site. Therefore, for any new software product that needs user interaction, CSS can perform User Experience (UX) studies for obtaining the best user interaction for that software solution. Also, CSS can create prototypes of the desired product prior to starting the implementation, in order to give you a clearer idea of what the final product should look like. These prototypes can help you in checking the feasibility and usability of the intended flows and determining any eventual changes that are needed before the actual implementation is completed, thus lowering the time needed to get the final product. 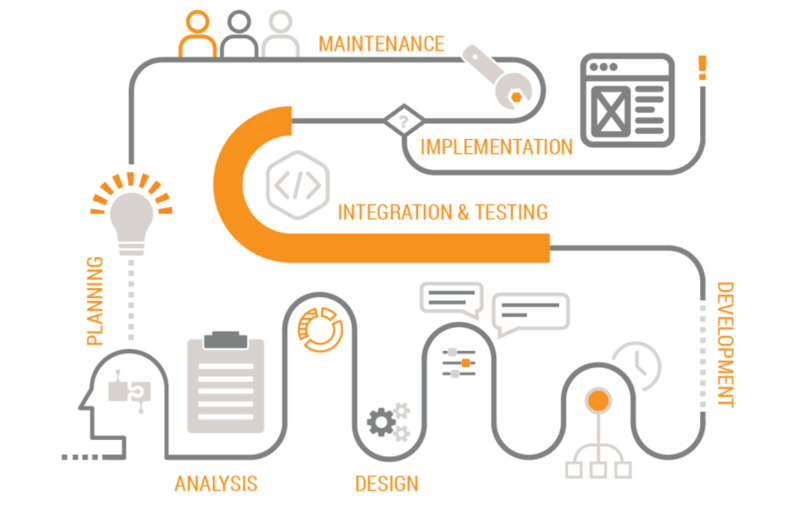 In the process of creating high quality custom software that it specializes in, CSS will carefully cover the main stages of the Software Development Life Cycle, from requirement gathering and analysis to design, implementation, testing, deployment and maintenance of the final product. Each development phase will be transparent and you will be actively involved in the process to assure that the final product perfectly fits your needs, and that it’s delivery will be as fast as possible. For us at CSS, high quality, reliable and efficient solutions for their customers are top priority. Therefore, ensuring the quality of the services and products has developed as a culture within the team and it is seen as everybody’s responsibility. CSS ensures that the best practices and standards are followed by the software development team in order to produce high quality products. Since each project is unique, CSS will select or create procedures and standards for each particular project in order to create a quality plan. In order to offer you the best experience, CSS offers support for software maintenance and system upgrades as well as customer support (including solving all issues related to the services offered). Includes keeping the Application Systems running and in good health. Any issue that may occur in any of the systems that CSS supports will be investigated by CSS specialists and fixed within a minimum time frame. Includes upgrading existing application systems with the latest versions to provide more stability and flexibility in the business. New versions of any system come along with new features to cater new business requirements. Includes solving all the issues related to delivered products and services. In the eventuality of any issue, you can send your request or complaint to customer care or call center and the issue will be addressed by CSS specialists and solved as fast as reasonably possible. These issues could be related to data download quality, wrong bill, some dispute, service activation or termination, etc. Our Western Union™ money transfer software product Hermes™ provides a comprehensive solution to manage and automate every aspect of your money transfer business. Our feature rich solution is an easy to use, robust platform that will serve as an asset to your business’ daily operations. Hermes™ allows your customers to send money on the move and at any time through Agents, their computer, tablet or smart phone. Our solution Nobilis™ is a mobile app that calculates cases deadlines and synchronizes them with mobile or WEB calendars. Notifications are produced in order to ensure that the customer will keep up with all his deadlines. The software is addressed to active lawyers who want to keep track of their day to day business and reduce the risk of legal calendaring errors. User’s data is stored in the mobile device and is not shared with any WEB infrastructure. We build customised software tailored to your needs. Our team will work with you in order to ensure that either the new solutions or the enhancement of your existing infrastructure, will decisively contribute to increasing profits, improving operations and development of customer base. We build web applications that empower businesses to process data or securely do businesses online. We’ve built everything from digital media platforms and communication tools to on-line payment applications and sales platforms. We can comfortably say that we have the team, the knowledge and resources to take on even the most challenging requirements. We are team of highly skilled and motivated app developers with a strong track record in taking app development projects from requirements to delivery. Whether it’s a standalone native app, or getting your native app to retrieve data from another system, our services will see you through the entire development process from planning, through to design, build, test and deploy. In a continuously changing IT environment, most companies face the challenge of retaining their existing systems (even legacy), but at the same time enhance their functionality either by interfacing or integrating with other systems based on new technologies. We can help your company integrate new functionality and technologies upon existing systems even legacy platforms, as we have successfully done in many cases with our existing customers.